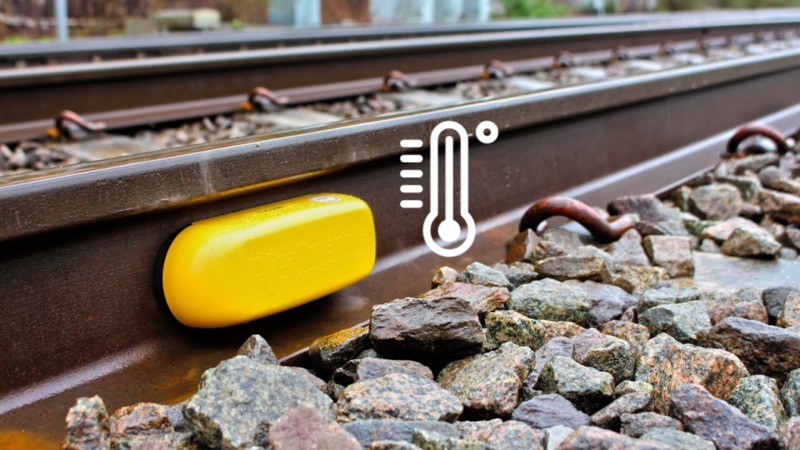 Within the next three years, ProRail aims to equip all 5,500 sets of points on the core rail network with CRTM 3000 sensors to continuously monitor the heating system. In the event of failure, this is reported immediately, enabling the infrastructure manager to take prompt action to remove snow and frost. ProRail have deployed 2000 sensors this year with a positive effect on operations. In addition to the 2,000 IoT sensors already in use, ProRail has now purchased another 500 of them from Dual Inventive for the upcoming winter. These will be installed throughout the network in January to augment the current system. Installation is really quick and easy. “Simply attach the magnet to the rail and it works”, says Jasper Corvers of Dual Inventive. The current generation of CRTM 3000 (Critical Rail Temperature Monitor) sensors, in the Netherlands, measure the temperature of the rails. “It’s actually a thermometer that you hold against a rail which, previously, would have been done manually by a technician. These measurements are transmitted wirelessly” says Corvers. Through the use of thresholds, it is immediately obvious where the problems are in the network. 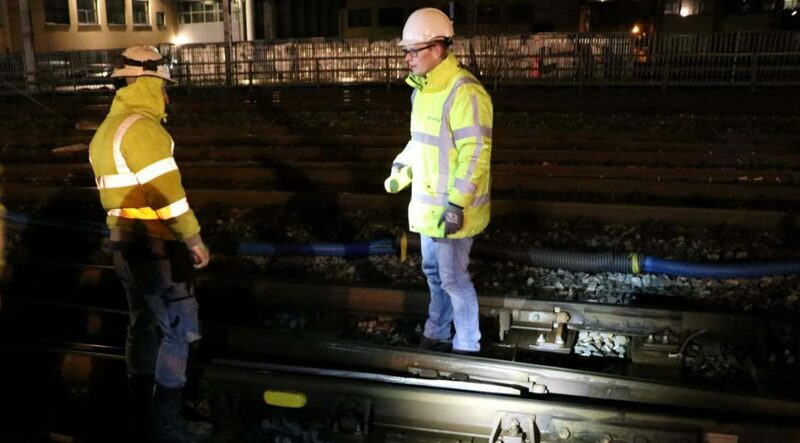 This allows for the rapid deployment of staff to fix problems before the points lock and therefore delay the operation of trains. “We can now see in real-time whether the heating system for the point works. As a result, we have already prevented twenty to thirty failures in the past year”, Johan Schaap, Availability Manager at ProRail, reports. According to Schaap, in some areas, the older generation heating systems are still deployed. This is what often leads to delays during snowfall in the winter. “The installations are vulnerable and show a diversity of failures. With IoT sensors we can detect many of the failures sooner, but not all of them. They cannot, therefore, be eliminated altogether”. The sensor system requires new working arrangements for management as well. For example regarding placement of the sensors, replacement after end of life and how to deal with defects and vandalism. Schaap has not yet experienced the latter, although there was an instance of a rail, with a sensor still attached to it, being removed accidentally. If the sensors are removed, either accidentally or intentionally, they can be tracked which makes recovery easier. During the first year, Dual Inventive and ProRail have gained much experience with the process and the CRTM 3000 sensors, Corvers says. For example, the distance from the heating system proved an important variable where a sensor that is too close can result in a melted housing, but too far away and it is inefficient. The wireless communication, which runs via KPN’s LoRa network, has also been adapted to the use of large numbers of devices in a single location. For this purpose, Dual Inventive has made some adjustments to the software. Corvers: “We have used all of our experiences to enrich and validate the new generation”. The current sensors can be found at the most important junctions on the network, particularly between Amsterdam and Eindhoven. All of the contractors have already become acquainted with them in their respective maintenance area. The IoT sensors have been nicknamed the ‘yellow bananas’ due to their unique shape and colour, which really do make them stand out. The requirements ProRail will impose on future sensors will differ from those of the current generation. “We are looking for broad applicability”, Schaap says. Developments are fast-paced and “the sensors currently installed are already outdated”. There are now sensors on the market, including the new generation from Dual Inventive, which in addition to temperature can also measure vibrations and movements. These new devices are also smaller and so easier to install. Schaap expects ProRail to issue another tender for a second batch of sensors next year. This will include the lessons learned from the current pilot. Sensors not only offer a solution in winter, but also in summer. Rails are liable to expansion when heated, which can cause other types of failures. For example, when expanded, railway bridges can no longer open or close or tracks may buckle. Sensors in the track provide companies such as ProRail with an extra set of eyes on the ground. This allows them further insight into their infrastructure and assures that rail temperatures are always kept under control. The thresholds in the system can also be set for this. If the temperature on track rises too high, an alarm message is sent to the user. During this pilot, ProRail used Dual Inventive’s platform, the MTinfo 3000 Cloud, for management and monitoring. This is a secure cloud platform, designed from the ground up to facilitate the control and monitoring of equipment. It collates and transmits all data from the CRTM 3000 sensors, providing a real-time view of track temperature on a smart phone, tablet or computer. MTinfo 3000 also allows review of retrospective data by means of reports which can be downloaded from the system.